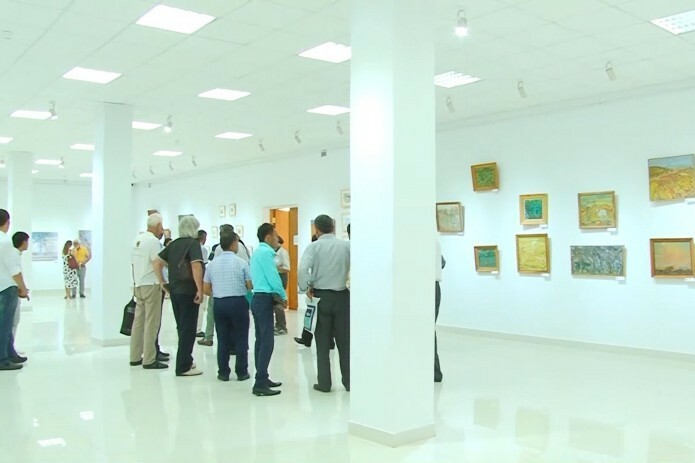 Exhibition artists Muhammadjon Rustamov, Numonjon and Abdullajon Holmirzaevs opened an exhibition in the International caravanserai of culture of Ikuo Hirayama called "Wind from homeland". It presents more than 90 works of authors that celebrate the beauty of the landscapes of Uzbekistan. Muhammadjon Rustamov is a member of various republican and international exhibitions. In his paintings he reflects a kind of change of seasons, the beauty of nature and the splendor of ordinary life in their homeland. Works of Numonjon Holmirzaev are multifaceted and distinctive. According to the artist, Mirzachul steppe is his best work. Water-color paintings are also amazing. Works of Abdullajon Holmirzaev are attractive due to lifelikeness, peculiar composition, saturated colours. The exhibition lasts until September 1.